At our company, Hopkins Printing, there are multiple new and exciting things happening. We have been on a Lean Manufacturing journey for the last year and a half that has resulted in many improvements to the operation. We are doing more training than has ever been done in the past which means more people can do more tasks. During this downturn, this has really helped because with fewer people we still have all the bases covered. This year, even though it has been a tough year, has been a year of new investment. There is new bindery equipment, new mailing equipment, new digital printing equipment and most recently a new printing press. 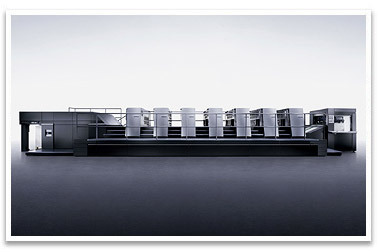 We began yesterday with the installation of a Heidelberg XL105 which is the flagship press in the market today. See this link and click on the starburst for a pictorial story of the process of the installation. At Hopkins, we are really looking forward to 2010 getting here and 2009 being behind us. With the improvements we have made in people, process and production, we believe the coming year will be a great one.